The second peony bloom of the season opened today, and it was a tree peony! It is also the first time I have seen this tree peony bloom. So that's nice. I planted this tree peony in the fall of 2016, and it developed its first bud this year. I must say for being called 'Yao's Yellow', it certainly is a bit white. I guess you could call it cream or creamy white. It does seem to match the photo on Cricket Hill's website for 'Yao's Yellow', though. So maybe this variety is just not that yellow. It also seems to have the same double form, a bomb type double, with a nice yellow ring of stamens. It hasn't fully opened yet so I'll be curious to see what it looks like tomorrow. It has a nice scent too. Tree Peony 'White Phoenix' also bloomed today. I thought it might wait for tomorrow, but at the very end of the day, it just started to open. So I guess you could say there was a tie for the second peony bloom of the season here, but technically Tree Peony 'Yao's Yellow' did open first, earlier in the day. 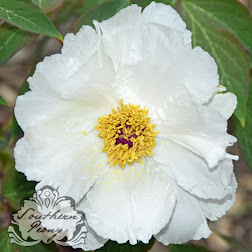 This Tree Peony 'White Phoenix' is actually a very good grower here in the South. This is my largest tree peony of any I grow (and the oldest). It is probably about 3 feet tall. I planted it in the spring of 2013. So it is 5 years old this year, and it has 8 buds on it. This was the first of the 8 buds to open this year. Very nice indeed. Where could I get a Yao's Yellow in the States? 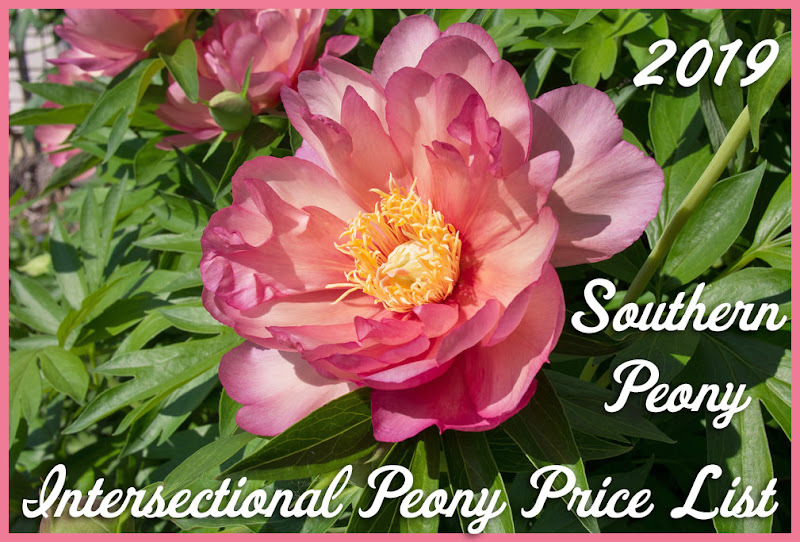 I actually purchased this peony on Ebay from orientalpeony in 2016, but I haven't seen them offer it this year. You might try messaging them to see if they have another one. I have been happy with everything they've sent me. have photos of it on their web site, perhaps they carry it or have carried it in the past. They may be able to tell you when they would have it available for sale again if it is not available this year. Thank you very much for the detailed information. I truly appreciate it. Congrats again on getting Yao's Yellow right and bloomed! It is really a famous heritage variety and not easily come across. When you bought it, was it a bareroot or potted plant? How old and large is this plant now? Are you going to post more pictures about its bloom? Days ago I noticed that orientalpeony on eBay listed a potted pink tree peony, which in the description it is claimed to be Zhao's Pink, another variety that I had wanted for a while. However, the first two pictures of all three were not Zhao's Pink. I contacted the seller and he did not seem to be certain if it is guaranteed to be true to name. So I gave it a pass. I am a little fussy about getting the right cultivar, true to name. I guess I will try to contact Cricket Hill. Congratulations to you again! You are welcome. Thank you. Yes, I like to get the correct variety as well, but sometimes I just try things to see... I believe it was potted, but now I can't remember. I can't find the email confirmation since it looks I lost that email confirmation when I had to rebuild my PC when it crashed. This 'Yao's Yellow' tree peony plant is still fairly young. It only has one branch on it right now. I am excited to see it grow, though. I will try to post another picture of it in my Week 1 bloom article, coming soon this week. I also actually made a video of this Tree Peony 'Yao's Yellow' too. I need to review the video, and figure out how/where I want to post it, but I will try to get that up soon too.